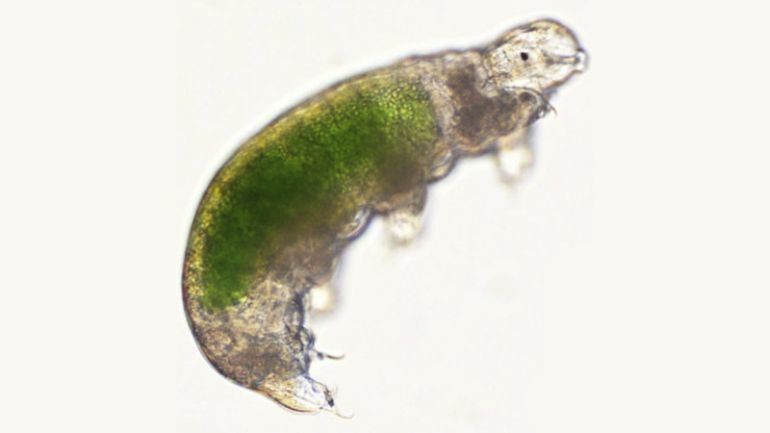 Frozen tardigrade, revived after over 30 years, gives birth to 14 healthy babies! 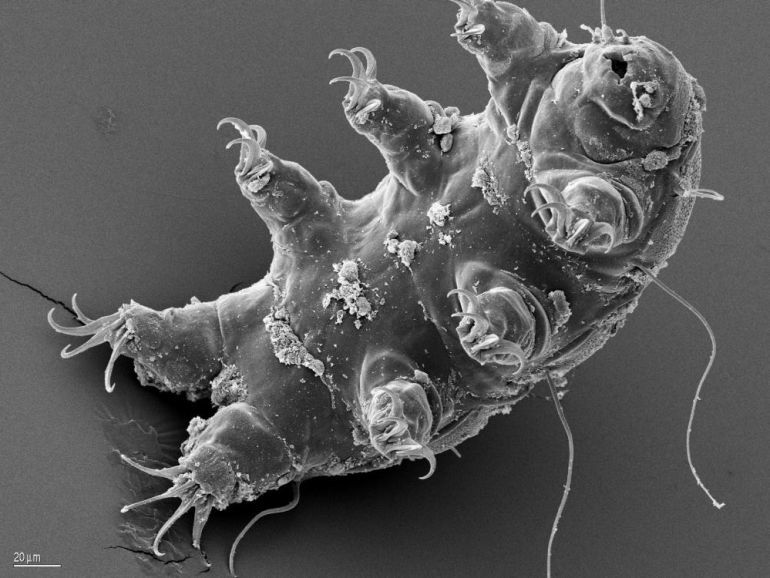 If you haven’t already guessed it, we at HEXAPOLIS are in awe of tardigrades. Also known as water bears, these microscopic organisms are one of nature’s most impressive wonders, possessing the extraordinary ability to withstand the most extreme natural conditions, such as prolonged desiccation, near-100 percent fluid loss, very low and high temperatures, incredibly powerful ionizing radiation and quite possibly the vacuum of outer space. Over the years, several scientific research have focused on the micro-animal’s remarkable qualities, including a recent study that has revealed its ability to turn into a type of “bioglass”, when faced with severe dryness. In an new project, a team of Japanese scientists has restored a tardigrade, which had been frozen for over 30 years, back to life. The feat marks the first time that a frozen water bear has been revived after more than three decades, with the previous record being only nine years. What is more, the “defrosted” tardigrade has recently given birth to 14 heathy offspring, thus living up to its name as nature’s most resilient organism. As part of the project, a team of scientists from Japan’s National Institute of Polar Research has successfully brought two frozen Antarctic water bears (Acutuncus antarcticus) and an egg back to life. Collected back in November 1983 by researchers working at the Showa Station in Antartica, these specimens were stored at -20 degrees Celsius (around -4 degrees Fahrenheit), for nearly 30 years and six months. 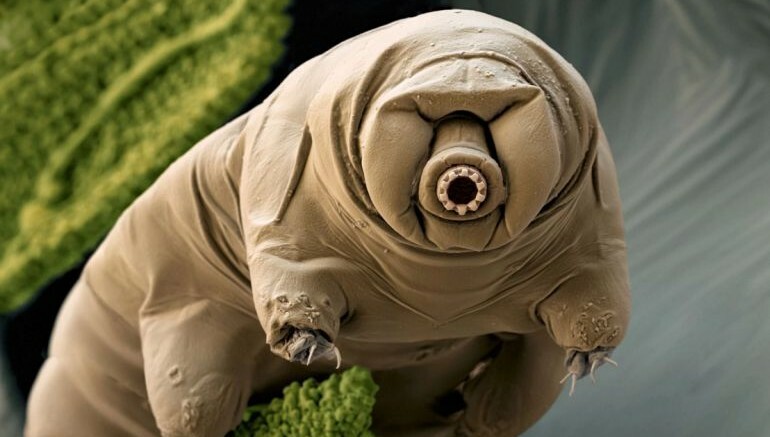 Once thawed, one of the tardigrades has gone on to produce 14 offspring, while the egg has developed into a fully-grown water bear, giving birth to babies of its own. The study is significant as it reveals, possibly for the first time, the animal’s remarkable ability to produce healthy offspring, even after being kept at below freezing temperatures for over three decades. This is because of a special process called crytobiosis, which enabled the frozen tardigrades to completely shut-down all metabolic process, like reproduction, growth and repair, without any adverse effects. Cryptobiosis is a mechanism adopted by several species to protect themselves against harsh environmental conditions, including oxygen deficiency, extreme desiccation and freezing. SB-1 first showed slight movement in its fourth pair of legs on the first day after re-hydration. This progressed to twisting of the body from day 5 along with movement in its first and second pairs of legs, but the movements remained slow. After starting to attempt to lift itself on day 6, SB-1 started to slowly crawl on the agar surface of the culture well on day 9, and started to eat the algal food provided… in the culture plate on day 1. We recorded recovery of two individuals and development of a separate egg of the Antarctic tardigrade, Acutuncus antarcticus, providing the longest records of survival for tardigrades as animals or eggs. That distinction belongs to a plant-parasitic nematode worm, Tylenchus polyhypnus, that survived after nearly 39 years in a frozen state. Also, second-stage larvae of another nematode, Anguina tritici, were revived after 32 years.